We’ve been seeing a lot of people wanting to upgrade from older versions of ProPhoto 4 and 5 to ProPhoto 7. There’s 5 reasons to upgrade to ProPhoto 7. We’ll detail why it’s best to upgrade now and answer your most burning questions. Older versions of ProPhoto wasn’t responsive. I’m sure you’ve heard that word alot on the internet. What does “responsive” mean in web terms? Well it means that when you view your website, it responsively adjusts to the screen size you’re viewing the website on. When you see that a template or theme is “responsive” it means it works across all device types, from desktops down to mobile devices. This is super important into today’s “mobile first” web. Mobile device viewing is starting to overtake desktop viewing, and Google now at least partially ranks on your site on how well it works on mobile devices. ProPhoto 3, 4 and 5 were developed at the beginning of responsive design and was never implemented. So the mobile site is in web terms…archaic. Older versions of ProPhoto are still built on the old system of choosing a bunch of radial settings and options. You can’t see the design you’re working on, and it’s much harder to connect the dots where the settings change on the site. With ProPhoto 7, it’s completely visual based. You’ll view your site template as you customize it. This is the way all website builders work now. If you’ve been used to those older types of designs like ProPhoto 3, 4, and 5, it’s basically the equivalent of owning a flip phone to an iPhone X. So users that are still stuck on those older methods of using web interfaces is going to have a much larger learning curve to overcome. Unfortunately, you’ve got a lot of catching up to do! ProPhoto has never been more flexible in design as it has been with ProPhoto 7. I’ve been a designer of ProPhoto templates for over 10 years now and this is by far the best version. It allows for you to customize it in every way and it’s only going to get better with each new version going forward. The entire reason for 7 was completely changing the user experience and front end building to offer maximum customization options and ease of use. ProPhoto has added literally hundreds of new features since 5 and 6 released. 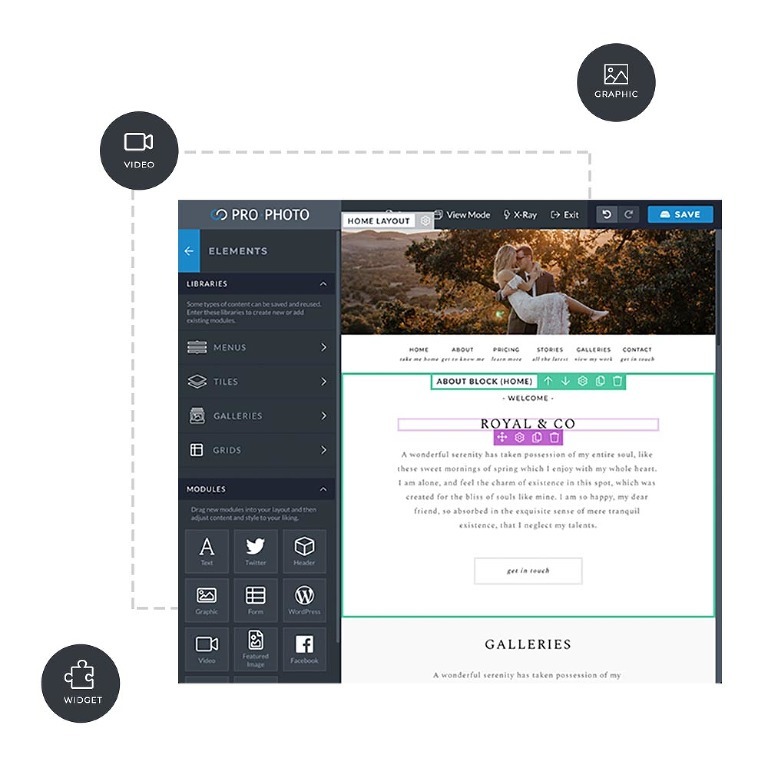 Grids, tiles, new gallery types, video support, layouts, device views, forms, test drive, and so much more! ProPhoto still offers unprecedented support. They have an extensive database of tutorials, many with videos. You can get in touch with them at any point and they’ll be more than happy to help you with your website journey. This is the one thing that hasn’t changed over the period that we’ve been with them. Providing excellent support has always been one of their highest priorities. There’s never been a better time to upgrade to ProPhoto 7 and have a beautiful new website that works exactly the way you expect it to across every device or screen. Does ProPhoto proofing work with ProPhoto 7? No. ProPhoto stopped support for ProPhoto Proofing when P7 released. The product is no longer being supported. We do offer services to migrate ProPhoto proofing from version 6 to Sunshine Photo Cart. Get in touch for details. I’m on ProPhoto 3, 4, or 5 will my site transfer over to 7? No. ProPhoto 7 is only backwards compatible with ProPhoto 6. If you owned ProPhoto 6 and ever activated a design, that design can be imported into 7. If you own a previous version of ProPhoto, like 3, 4, or 5 then those can’t be imported since they aren’t compatible. How much does it cost to upgrade to ProPhoto7? If you’re new to ProPhoto 7 or you’re on an even older version like 3 or 4 you can get $20.00 off by clicking this link. Upgrades from 4 or earlier costs the full price of a new ProPhoto theme, $249. Will my ProPhoto design work with 7? If you have ever owned ProPhoto 6 and purchased a design, and activated it in ProPhoto 6, then that design can be imported into 7. If you owned a ProPhoto 3, 4, or 5 design then those designs can’t be imported into 7. When you upgrade to ProPhoto 7 you’ll be starting completely over with the design portion. It’s basically like switching to an entirely new theme. Actually, those versions are so old that you ARE switching to an entirely new theme! 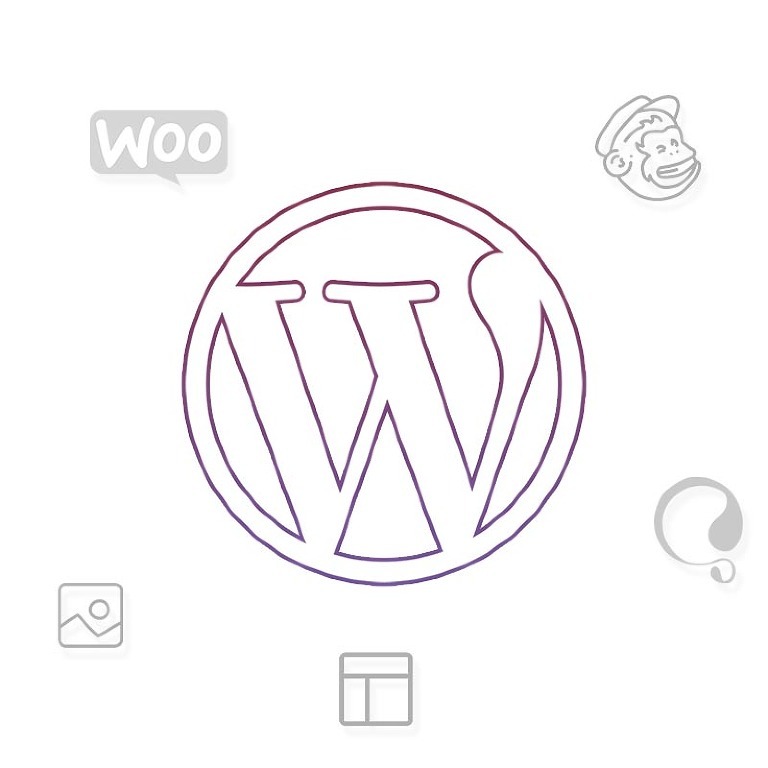 Your WordPress content, like blog posts, blog pages, or comments will always remain the same, no matter what theme or template you change. That content will never be removed or deleted when you switch.